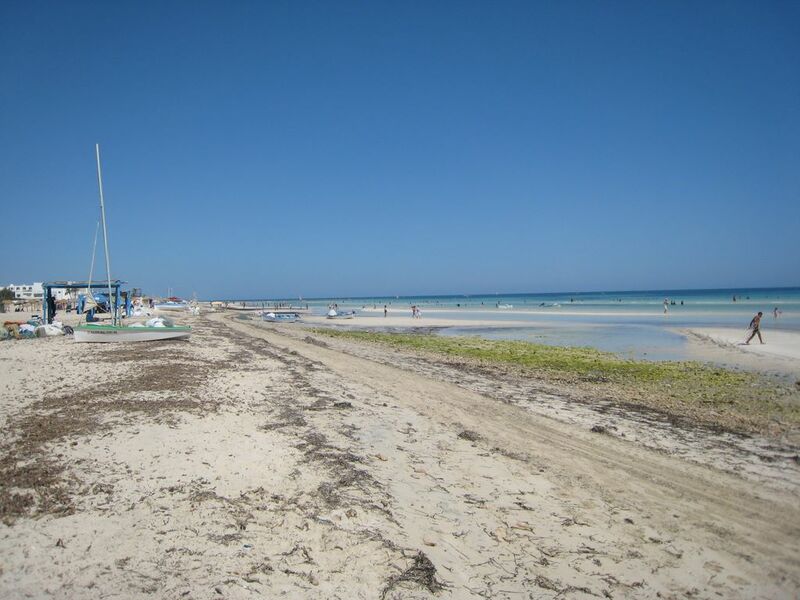 Djerba the sweet life .. | Djerba: Info, Maps, Photos, Hotels, Attractions, Restaurants, Excursions, Walks at sea, Quad .. This beautiful island, surrounded by the azure blue of the Mediterranean, continues to attract its visitors, indeed in summer the population of the twin island by the mass tourism that is practiced for ten years. Its The charm is so legendary that Flaubert wrote of Djerba: "The air is so sweet that it prevents you from dying"! this sweet island best known for its stretches of white sand, blue beaches and natural lagoons. It offers tourists its tranquility and friendliness to live, which makes it a perfect place to spend a vacation famous. It quickly spread among the tourist destinations most esteemed thanks to its sunny weather, clear blue beaches and the beauty of its natural scenery. In this area of ​​the souks, there are four religious monuments: Zaouia Sidi Brahim El Jemni, Jemaa El Ghorba, Jemaa El Trouk and El Sheikh Mosque. Djerba was for centuries a land of encounter between many civilizations that have marked the history of the island through legends and ruins. Nowadays, Djerba is rewarded with several luxurious hotels, clubs and leisure facilities. Its hotel infrastructure is appreciated for its performance: it has become the most important tourist center of southern Tunisia, which continues to seduce by its adorable orchards, archaeological sites, monuments and traditional architecture. The Traditional Heritage Museum Djerban. Private tours (Tea, coffee shops, restaurants, ...). Horse riding and walks in Djerba (Riding school Royal Carriage Club, Ranch Adada Djerba, Mezraya Ranch, Ranch Tanit Djerba, ...). * 4 4 tours, mountain biking and off-road.